Anyone who has ever tried meditation knows how illusive the ‘deep peace’ aspect of the practice can be. But what if it wasn’t about that? What if meditation was more about getting to know your inner experience as it actually is? What if it were about transforming our usual patterns of judgment and criticism into something more friendly, spacious and less catastrophic? See below my top 10 tips for making meditation an achievable daily habit. If you have any questions let me know. I thoroughly recommend connecting with this practice and sticking with it until you realise tip #10. Know why you are meditating. Use your intention for the practice as your compass in moments of difficulty and distraction. The key task in meditation is to know your mind as it is – regardless of whether it is busy or quiet, turbulent or peaceful. Your job is to learn how to observe it without reacting. To do this you must be willing to make space for how you are feeling as well. As much as possible meditate at the same time each day. Experiment with what works for you. Once you find a groove, find a way to slot meditation into your daily or weekly routine. See every in-breath as a complete meditation cycle and every out-breath as a complete meditation cycle. Guard your practice like a small plant – know that it can easily be uprooted by the busyness of your life. Notice when the winds of restlessness have laid waste to your practice. Don’t be afraid to start again. Any posture that keeps the back straight, the belly open, and the shoulders relaxed is suitable for meditation. Ideally the knees will be in line with or lower than the hips. If you are practicing on a chair make sure you are sitting well forward, unsupported by the cushion at the back. Once you have selected a timeframe for your meditation practice (e.g. 5mins, 10mins, 20mins, 40mins etc) be mindful not to hop up from you practice until this timeframe has expired. If you find that you have got up, reclaim your seat. More than anything, meditation is about cultivating a kind and friendly relationship with yourself. Watch without judgement as the mind runs into the past, present and future. With kindness and firmness bring your attention back to the breath. Every time you do you have done a bicep curl for the brain. Try not to rush. Let the meditative state arise of its own accord. Anticipate that some meditations will be more turbulent than others. 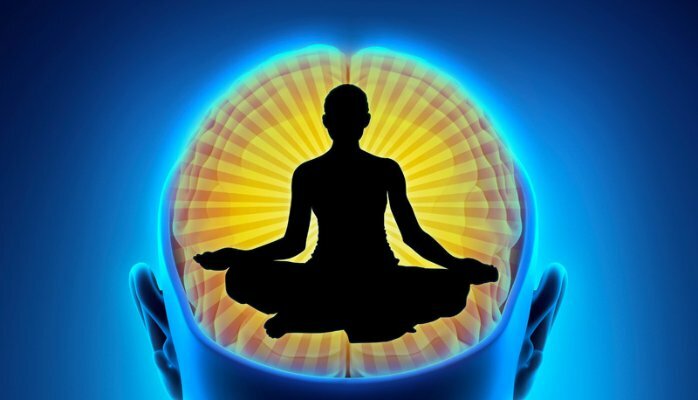 Enjoying the benefits from meditation is like eating fruit from your favourite tree. Before going to harvest, you must first till the soil, plant the tree, and nourish it until it blooms. Have patience with your practice. The fruits are likely closer than you think.